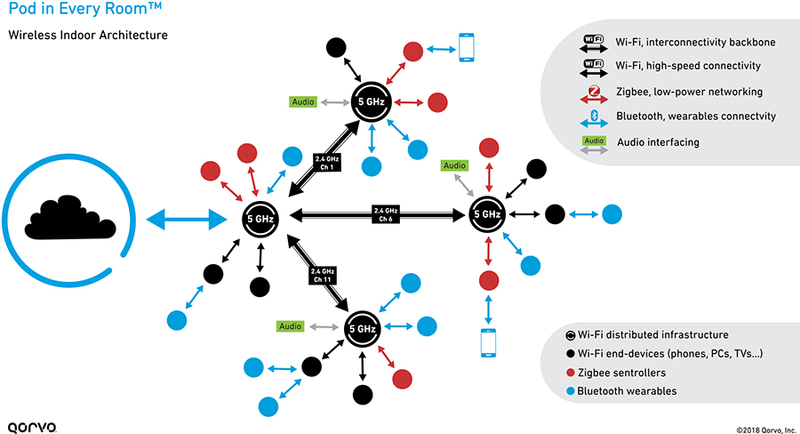 A distributed Wi-Fi indoor infrastructure — the next generation of Wi-Fi mesh — could change our vision of how we consider the smart home and its connections to the Internet of Things (IoT). In this article, we explain distributed Wi-Fi, some of its design challenges and how a “pod in every room” architecture can bring the connected smart home to life. Everyone has experienced connectivity issues when multiple family members try to stream bandwidth-intensive videos or games on their devices at the same time. A truly connected smart home, with the capacity for various users and connected devices streaming simultaneously, is getting closer to reality. With the Wi-Fi IEEE 802.11ax standard expected to be released in 2019, it’s exciting to envision how our homes will have the capability and capacity for so much more, all connected wirelessly. Although earlier versions of the Wi-Fi standard provided increased data rates, other challenges remained, including reliable range and avoiding interference. The Wi-Fi industry used multiple technologies, such as repeaters or power line extenders, to try to overcome these issues, but it appeared we couldn’t have it all — reliable range, high data rate and no interference. The capacity continued to be constrained. Using a repeater inherently adds interference and can result in a poor user experience, even if it does minimally extend the range. Instead, we believe that distributing Wi-Fi or placing a pod in every room is a better approach to yield whole-home coverage. 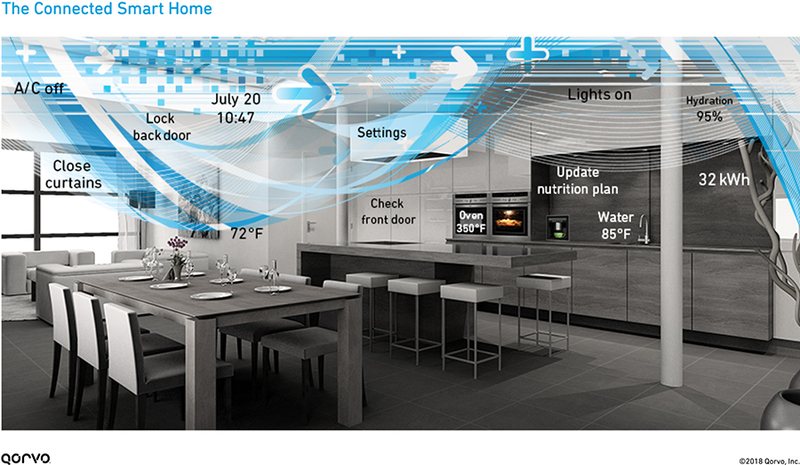 In short, you equip every room in a house with a pod that serves as a wireless access point. The pod connects to the router, which then connects to the Internet. IEEE 802.11ax will address the need for capacity, facilitating more efficient use of available bandwidth to carry more data. This will support these pods, creating worry-free connectivity — and a more efficient, distributed Wi-Fi indoor infrastructure for our smart homes. And families can then have the maximum data rate to run all apps at the same time. Today’s Wi-Fi connectivity is bottlenecked by the speed of the data connection to the home. Namely, the speed of data coming into the house is much lower than the transmissions possible in between smart devices and access points. Wi-Fi speeds can be in gigabits per second, but if the connection to the home is way less than that, what good does it do? Even if you have 7 Gb/s between devices, the home access is only working at 100 Mb/s. The hierarchy is out of balance, as shown in Figure 1. Fortunately, Wi-Fi continues to move ahead. While carriers are racing to increase the data rates with FTTH, DOCSIS 3.1 and even LTE/5G gateways, IEEE 802.11ax will increase actual data throughput, focusing on higher capacity in the home. In addition, robust technologies to reduce interference are enabling multiple radio systems in the smart home. So, with next-generation technology and IEEE 802.11ax, we expect to see improvements to wireless indoor architecture and long-term upgrades to infrastructure to meet customer demand. As a result, a shake-up of data rates and a re-establishment of the data hierarchy should create data connections that make more sense. A smart home relies on both Wi-Fi and the IoT to connect and communicate. But the IoT isn’t simple — it involves a control database, data communication and a user-friendly interface. Smart homes as a service rely on sensors to track data, sometimes collected to a cloud to analyze it, and notify users when things are not normal within their environment. Today’s homes can have 10 Wi-Fi devices, but smart home sensors could reasonably increase this number to 50-100. To achieve a truly connected smart home, an enhanced “pod in every room” design serves as the best approach for distributed Wi-Fi architecture with IoT communications. Because every pod serves as a wireless access point, every access point will support Wi-Fi and IoT standards. This includes the home’s increased Wi-Fi requirements as well as Zigbee® and Bluetooth® devices. These devices could even be controlled via audio/voice assistance on command. With IEEE 802.11ax, all devices would talk to the wireless router on multiple channels. This design eliminates the need for extra gateways or multiple Ethernet/cable/fiber connections installed within the home to link a mesh system. In addition, with a pod in every room, there is no need for meshing Zigbee and Bluetooth anymore, and that makes a big difference. No meshing means longer battery life for the devices, simple setup and troubleshooting processes, and lower costs for the user. This enhanced quality of service (QoS) would also help reduce service calls and in-person technician visits for the provider. Ultimately, the pods would offer more channels and connect IoT devices smoothly and easily. And the increased connectivity would propagate the IoT with sensors, devices and audio assistance, creating a smart home. Distributed Wi-Fi will support high- and low-speed devices in every room. 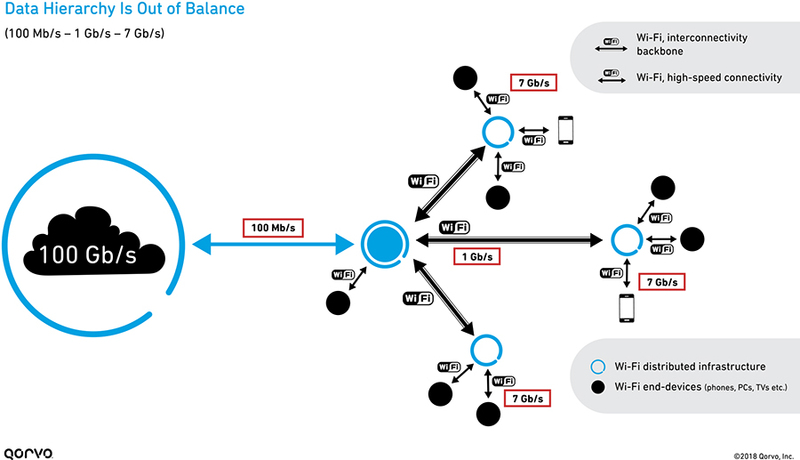 As modern home network access systems download and buffer content through the connection to the house, installing distributed Wi-Fi with high capacity capabilities can move that content through the house faster, with better quality, making multiple users happier. But at the end of the day, the value is not in the specific technology used — as wireless communications will be easier with all relevant technologies embedded in a single pod. The value, however, will be in addressing consumer demand for more seamless connectivity, with support for all technologies, and ensuring IoT devices contribute to a truly smart home environment. 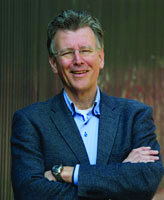 Cees Links (pronounced “Case”) was the founder and CEO of GreenPeak Technologies, acquired by Qorvo in 2016. He is a pioneer of the wireless data industry, a visionary leader bringing the world of mobile computing and continuous networking together. In 2017, he was honored as a Wi-Fi pioneer with the Golden Mousetrap Lifetime Achievement Award by Design News.